Summer Parenting time is soon upon us. It’s the one time many parents change the parenting schedule. Prior Planning will ensure a smooth process. For many, Spring Break has ended or is about to end. Some students had Spring Break in mid-March. Other children, like those in Gainesville, Florida, are on Spring Break the first week of April. This is a good time to decide Summer vacations, and coordinate them with the other parent. Airline flights are expensive, and it’s best to make sure your plans do not conflict with your former spouse. Most court cases we see involve parenting time during the school year, but not always. 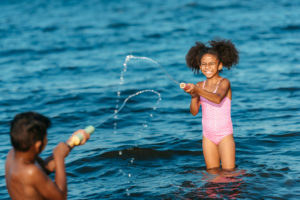 Some parents have specific things he or she would like to do during the Summer months. Thus, it’s best to plan ahead. Like all parenting time, Summer parenting time is based on the best interests of the child. Florida has a specific set of factors which courts use to determine all parenting time. The first few items include the flexibility between parents, the extent to which each parent facilitates a relationship with the other parent, and the division of parental responsibilities. Parents often equally divide the Summer months, but not all find this to be suitable. Parents who live in different States may use that time for the parent who lives out of State. Here in North Central Florida, there are many Summer camps and opportunities for children. The YMCA in Ocala and in Gainesville both have fantastic Summer programs. In addition, many after-school programs and martial arts places in town have Summer camps. For parents who an autistic child, Outreach autism Services Network in Ocala, Florida, has a Summer program. It’s important to start looking at these programs now, and to reach out to the other parent regarding any Summer plans you may be making. In addition, look over your parenting plan (if you have one) and see what it says about notifying the other parent. Parenting Plans often have a deadline to notify the other parent, so be careful to review your plan. We hope that everyone has a great Summer in 2019. If you have legal questions regarding this, or anything which involves time-sharing and parenting plans, please call us.